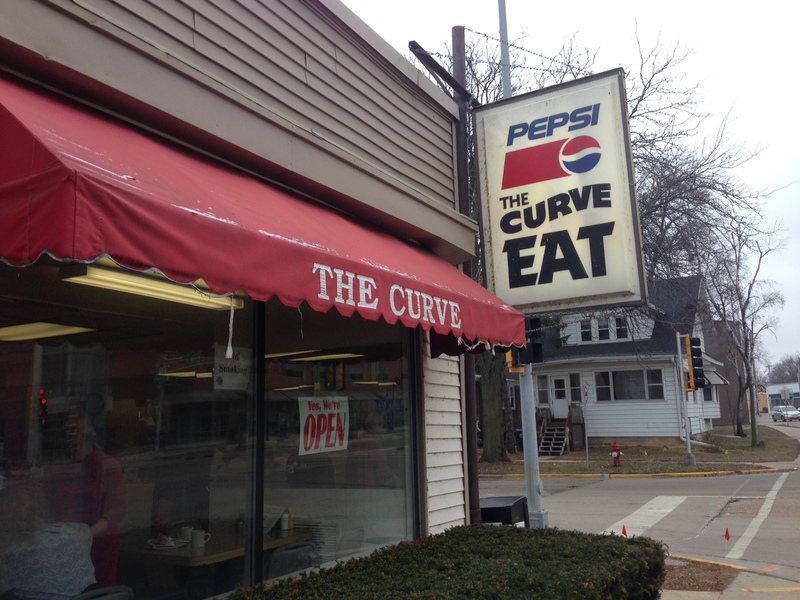 I’ve driven past The Curve, an extremely tiny restaurant on Park Street, many times, but I never really wanted to try it because it looks a little rundown. After hearing through the foodie grapevine that I was missing out, I decided to try it out for breakfast the weekend before Christmas. Since the tiny (8 tables, plus a counter) restaurant is right on South Park Street I was worried about parking, but we got a spot on the same block looking toward Monona Bay. The Curve’s exterior and interior presentation is a little unsettling (it’s dirty, outdated and could clearly use some repairs), but don’t let that stop you from ordering. The menu is simple and the staff (two or three people max) are probably the nicest I’ve dealt with ever. The red tile floors partnered with the chatty regulars really give this place a neighborhood feel! We were brought two large cups of coffee before we even had a chance to open a menu. 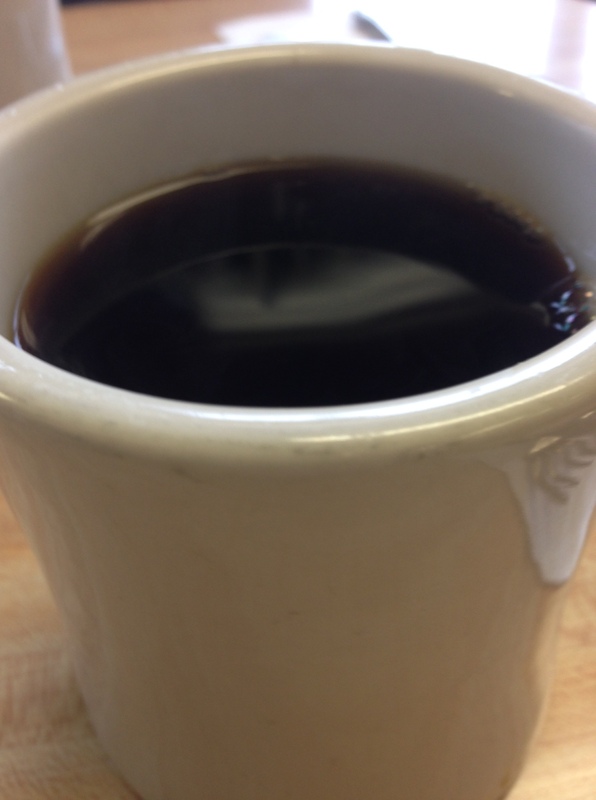 Sometimes diner coffee can be bad — weak, bitter, too strong, lukewarm, only drinkable with cream — but not at The Curve. The coffee was hot, smooth and best consumed black. Good coffee is the first mark of a good breakfast place! Now here’s where this review is going to get a little confusing. I was planning on ordering the corned beef hash off the menu, and that’s when the woman told me the special was corned beef hash. I immediately said I’d get the special, but after she walked away I realized the corned beef hash on the menu was $2 less than the special…which didn’t make a lot of sense. And when I asked — the difference does make a huge difference! The hash on the menu is out of a can, but the special hash is homemade. And apparently they only have it every other weekend. I’ve had corned beef hash out of a can and it tastes like dog food. 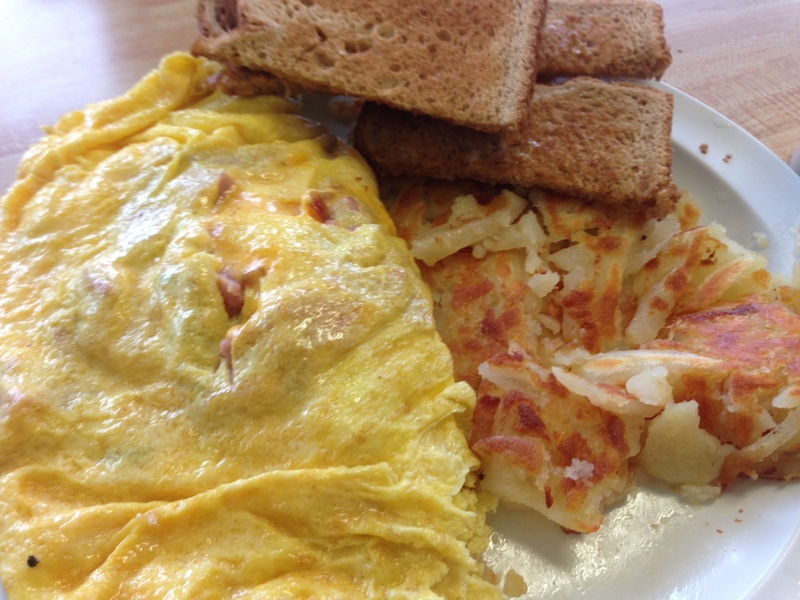 DO NOT get the corned beef hash if it isn’t the special. The homemade corned beef hash special was crazy good! It had a spicy, garlicky heat to it with tender corned beef, crispy potatoes and onions. Corned beef hash is one of my favorite breakfast dishes (thanks Dad! ), and this is the best one I’ve had. Normally I need the egg yolk to make the dish perfect, but this hash was so good I could definitely eat it without the egg — but I won’t because eggs make everything better! The serving size is also something to mention — it wasn’t too small or too big…it was perfect! I was full when I finished off my plate, but not gross full and it kept me filled the rest of my day. My mom got some sort of omelet that I don’t even remember trying because my hash was so good! I do remember bringing half of her omelet home, because it was so large! FOOD NOTES: There are three take-aways from this review. The old adage “Don’t judge a book by its cover” really applies to The Curve. Don’t let the peeling paint and dusty window ledges scare you away. The employees (and diners the day we were there) are some of the friendliest people I’ve met in a restaurant. The woman who works there even invited us back the next week on a day that she brings in Christmas cookies for all of their customers! 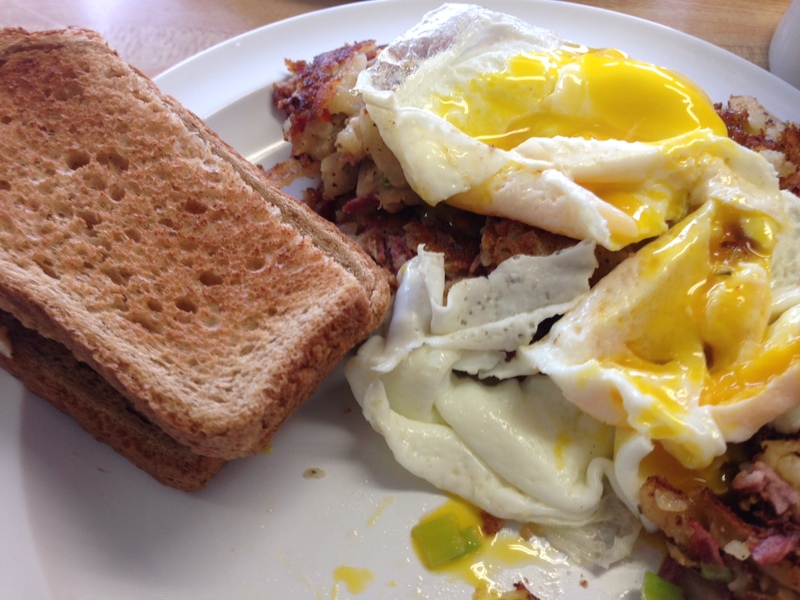 The corned beef hash special is so good I’m craving it now just writing about it and looking at the picture. It is a perfectly seasoned, crispy pile of potatoes and corned beef only made better by the gooey eggs! Remember: I wouldn’t suggest ordering the corned beef hash off the menu.